Sending birthday wishes has been an important tradition that people from all walks of life would follow. It is a great way to express how much you care and love the person who is celebrating her birthday. 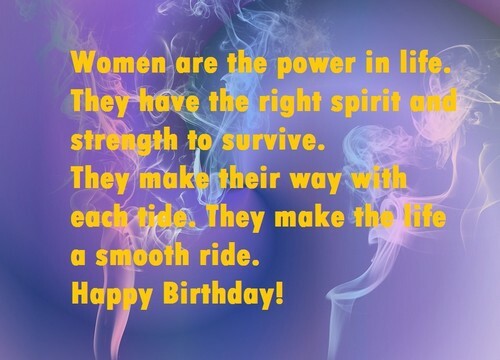 So here are the birthday wishes to send to your female friends, girlfriend and any female that’s dear to you. Happiest birthday to the most amazing girl I know. I have been waiting for this day for so long so I can let you feel how special you are to me. Now that it’s finally your birthday, let us celebrate and make it extra special. Today is a special day and is meant only for celebration. Why? Because it’s your birthday and you deserve only the best celebration! So cheer up, let’s party and let’s make this day unforgettable. Happiest birthday to the most wonderful birthday girl! Best birthday to the girl that’s so dear to me! May you have the best time of your life and may all your dreams and wishes come true. We all need that day where we want to be the center of attention. Finally, that day has already come for you. Happiest birthday to the most wonderful woman I know! Wonderful birthday to the woman who means the world to me. May all your wildest dreams come true and I wish that you will never ever feel sad and lose your beautiful smile. Happiest birthday to the most gorgeous girl I know. I hope all your dreams and wishes come true! Today is a day that we all should celebrate. It’s the birthday of the sweetest girl I’ve known! Happy bday! Each an every day is a brilliant gift we all should enjoy. Today is your special day and I hope it is just the beginning of a whole year of amazing days for you, my dearest friend. Happy birthday! Happiest birthday to you, my beautiful friend. I hope that your birthday will be filled with so much love and happiness. You are a special woman my dear friend. 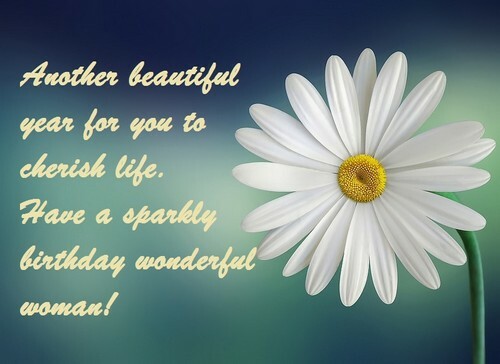 I hope that your special day will be bright and sunny and filled with so much love and happiness, best birthday! Happiest birthday to the most awesome and outrageously funny girl I know. Stay happy and continue to be funny. Wonderful birthday to you my sweetheart. There was not a day that goes by that I do not think of you. My life would have been empty if you were not on my side. I love you sweetie! Awesome birthday to the most beautiful woman I know! I wish that for every candle you blow on your cake, you would receive an extra reason to feel great! Best birthday to a smart, gorgeous, funny woman who reminds me so much of myself. Funny, smart, silly, cute, pretty and fantastic. All these describe an awesome girl like you! On your birthday today, I just want you to know how lucky I am to have you in my life, happy birthday to you! Playing is an important part of celebrating a special day such as your birthday. So get out and get yourself busy. Jump, run, hop and dance. Happy birthday! You truly are a natural beauty. You are a wonderful girl that everyone loves and I hope you will stay that way. Happiest birthday! I hate all the nasty greeting cards that make fun of older folks – don’t they know that you are too fragile? They really must not joke around a wonderful woman as you. Wonderful birthday! Happy birthday to the most amazing woman who is so dear in my life. I hope that all that you do will turn out happy for you. I love you! Happiest birthday to you my sweetie. I hope that all you wish will come your way and that each and every hour today will bring happiness and wonderful things that you could ask for on your birthday. Thank you for all your kindness. You truly are a woman who is beautiful inside out. I wish you a very happy birthday and may you stay happy not just today but in every single day. Happiest birthday to my one and only girl. Please know that no matter how old you become, I will always be here to support everything that you do! Remember those times when we use to think that we could reach the stars if we just stretch out our arms high? Well, you have certainly reached the stars and I have never been so proud of you. Best birthday ever! To the loveliest woman I know, I am sending you all the love and the great things in the world on this birthday of yours. Awesome birthday! You truly are living your dream now and I am here to keep on cheering you on! Happiest birthday to the most amazing woman in the world. Please know that I will always be here to support you every step of the way. Happy 50th birthday to the most amazing woman in the universe – my mom! Here’s wishing a very happy birthday to the most wonderful woman in the family. Please know that we are always here to love and support you. Happiest birthday my beautiful friend. Please know that you are destined to do great and wonderful things. I wish that your birthday would serve as a special milestone that will lead you to do much bigger things. We have made an oath as ten-year-old kids that will be friends forever no matter what life throws us. I’m happy that we are actually good at keeping our promises for each other. Happy birthday, girl! Charming, caring, compassionate and crazy, but in a good way. This is how I want to describe you my lovely friend. You have the whole package of a great friend and I am just so lucky that I have you in me. Happy birthday! Happy birthday to you my dearest girl friend. I wish that the universe would reward you with so much love, happiness and success. Happy birthday my friend. May you continue to shine brighter as you always have! Happy awesome birthday beautiful girl! May your future be as bright as those candles in your cake! Happiest birthday to the woman so dear to me. Please know that you truly are a wonderful person and I hope that your birthday will be as wonderful as you are. Happiest birthday my beautiful friend. I hope that your day will be great and I cannot wait to share with you some cake. I love you! To my lovely friend, you certainly know how to make everyone around you smile. You know how to stay calm in the midst of chaos. You truly are a force of nature. I just wish you all the best things in life on your special day, best birthday! You make the world become even more beautiful just by being in it and I am so proud to call you my best friend. Happy birthday my dearest friend. Happiest birthday to a woman who is beautiful inside out. 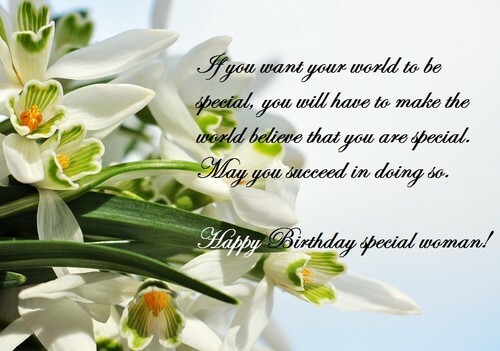 You are very special to me and I hope that you are happy on your special day. Happy birthday to the sweetest girl I know! You truly deserve all the happiness and love in the world. Awesome birthday my dear friend. Let us celebrate this day of your life because you are so special and you deserve a special celebration. Wonderful birthday to the kindest woman I have known. Thank you for coming to my life and may you continue to do well in everything. I love you! Happiest birthday to a fabulous woman. I wish you a wonderful day not only today, but in every single day of your life. Happy birthday to the craziest but most amazing woman I know. Thank you for bringing so much happiness in my life. Enjoy your day and please know that I love you truly! Happy birthday beautiful! Remember that you are not getting older, but you are just getting better and better. Cheers on your birthday! Happiest birthday to the sweetest lady in the whole wide world. I wish you all the best blessings in life. Happy birthday sweetie! May you have a fantastic day that’s filled with everything you love the most! People say that only a few women would want to admit their real age and only a few men would act their age. But you know what, you actually do both of it but with equal grace. I wish you a very happy birthday. Enjoy your day! 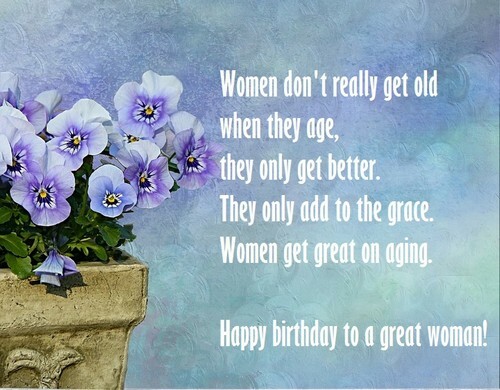 Women do not really get old when they age – they just get better and only add to the grace. So remember that the more you age, the more you become great. Wonderful birthday! Beauty is timeless and so is pure grace. 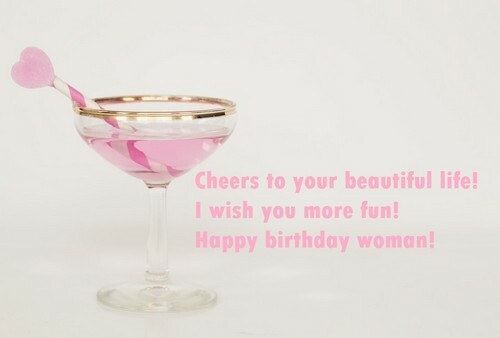 On your birthday, I hope you will be as perfect because women like you never age. 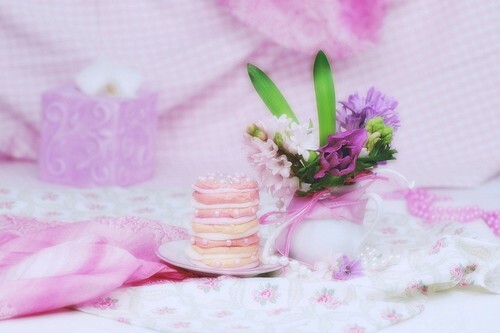 The day is beautiful because the occasion is special. I wish you all the faith and courage on your birthday and may you be successful in all aspects of your life. Wishing you a very best birthday! You’ll never be so young and bright as what you feel today. So continue to feel you and enjoy your special day. Happiest birthday! Happiest birthday to the special woman who has been so dear to me. May you remain strong courageous and kind. A woman stands out in everything in life. This is because they have the right spirit and the will to survive. Wonderful birthday to the toughest woman I know. 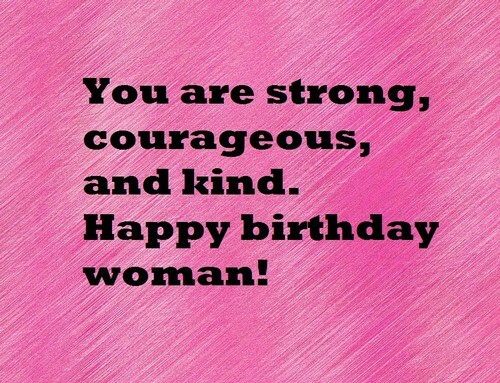 Lovely birthday to the woman who is strong, courageous and kind. 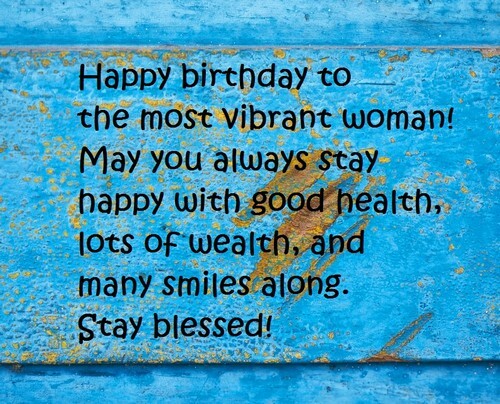 May you continue to be blessed with so much happiness and love! Do not panic if you forgot to plan your birthday party today, because we got that taken cared of already. Best birthday to you, lovely lady!